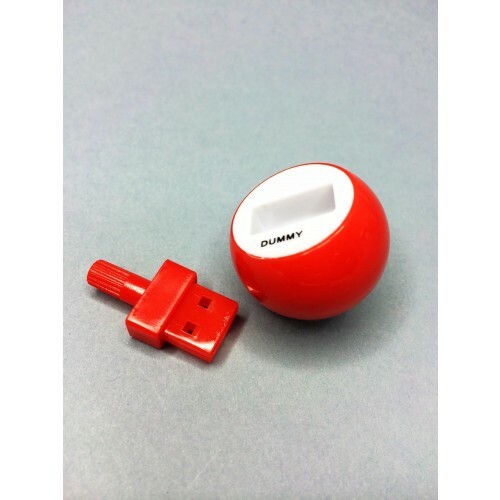 This branded flash drive measures 38 x 30 x 30mm with print areas of 16 x 4 mm (sphere surface), 12 x 4 mm (on top), 20 mm diameter (underside). It comes in the colours Blue/ Grey/ Lime Green/ Orange and White. For customised colours, we accept a minimum of 1000 pieces. This customised flash drive comes in different storage capacities you can choose from including 1GB/2GB/4GB and 16GB. Our prices already include a one colour one side logo print and the print set up cost. Print options are Screen Print and Pad Print. We will upload data about your company for free up to a 150MB file size for free. Each customised flash drive has its own PSL design PVC box packaging and you have a choice of optional accessories to add including a magnetic gift box/ tin case/ PVC clear case/ mini lanyard/ long lanyard/ key ring and velvet pouch. 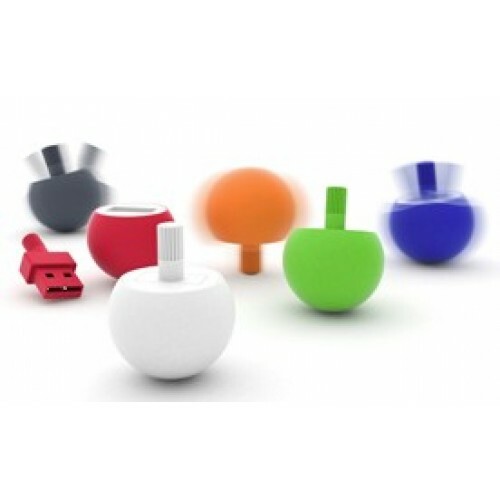 Make your next flashmemory something useful and fun at the same time with the Spin Top USB Flashdrive. 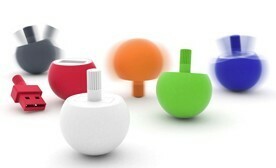 As its name implies you can rotate the USB just like a regular top. Your corporate logo will definitely look hip on this promo item and your customers will certainly love to own this custom-made flash drive. Other features which come with this USB drive include 1 year replacement warranty on faulty manufacture as well as Grade A memory and 10 Year warranty on data retention. To order your personalised flashdrive which is printed with your logo why don't you call us or send us an enquiry. We will respond with a quote along with recomendations on how best to brand your logo for the best effect. Logo flashdrives standard turnaround is 2 weeks from art approval. Fast turnaround is available, see our 3day printed USB section Prices are GST exclusive. Free freight with your USB flash drive order. Delivery is overnight to Sydney metro area. Melbourne Brisbane or Canberra is 1-2 working days. Up to 5 working days to all other states.